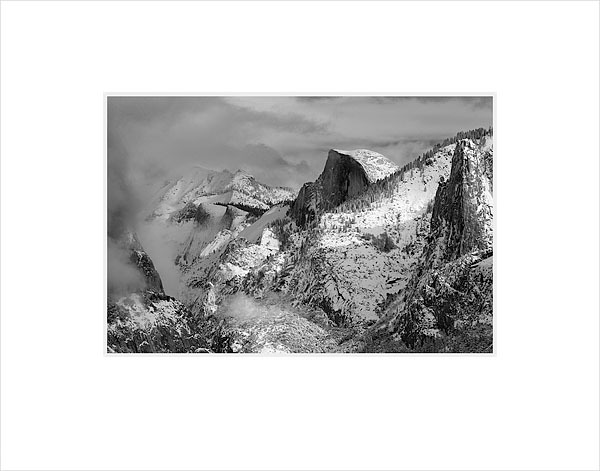 I am happy to let you know about a new Fine Print offer just announced by The Ansel Adams Gallery. I have been honored to be the first artist for this exciting new series among the elite group of photographers represented by the Gallery. 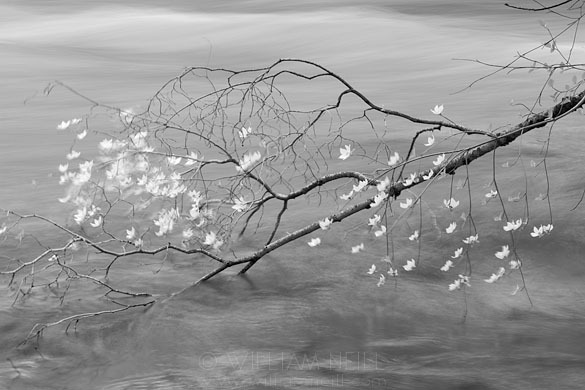 Two of my recent images are being offered at an exceptional discount of 25% for a limited time. The sale began this morning and will end at 6PM on Sunday, June 12th. The two images, never printed previously, will be hand printed by me using archival inks on my high quality inkjet printer, then mounted and over-matted using archival materials. The prints will be signed and numbered with print details included on the label attached on the back of the print. 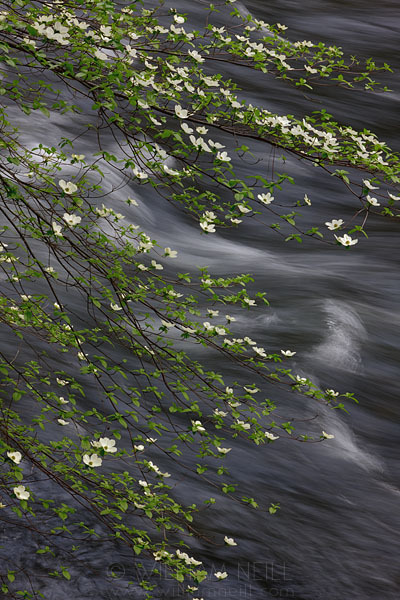 For more details on my printing process, see Fine Art Print Information on my web site. I hope you will check for further details on Gallery’s site, pass it on to your friends, on Facebook, Twitter or on your blog. Below you can see the images, and read the story of making each photograph. The Ansel Adams Gallery has represented my fine art photographs since 1983, after Ansel viewed my prints himself. I am especially excited because I knew Ansel personally and his mentorship greatly inspired my career in landscape photography. Last week, I was in the Toronto area with my family for a wedding. I brought along my camera and a few lenses in case I found inspiration. Staying at our family’s home, I took a short walk about their property on a drizzly day. 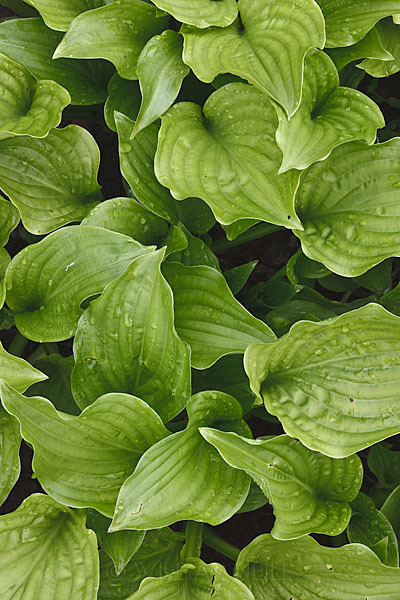 I am not sure if these plants are hosta, or maybe veratrum, but I know I loved the patterns. Does anyone know the common and/or latin name? Thanks for reading my blog. Stay tuned for new postings soon regarding a special Fine Print offer! To ensure receiving info about my Fine Prints, ebooks, online workshops and more, be sure to sign up for my email newsletter. Enjoy, and let me know your comments about my latest image! ORDER BY DEC 17 TO RECEIVE BY CHRISTMAS! 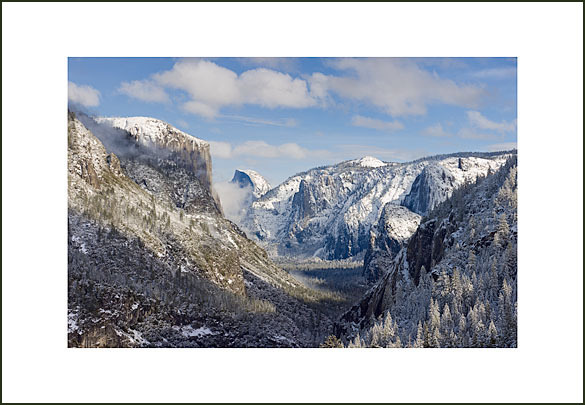 This month’s Featured Print is “Half Dome after winter storm, Yosemite Valley, Yosemite National Park, California 2008” shown to the right. 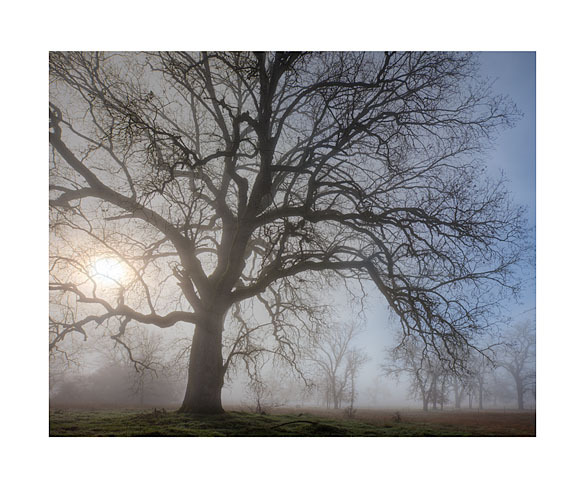 The Special Edition photograph is an archival inkjet print, sized to 9″ x 6″ on Premium Satin Paper, matted and mounted to 11″x14″ on archival museum board. The print will be initialed by me, not signed. The series will be unlimited in quantity and numbered sequentially on the label. 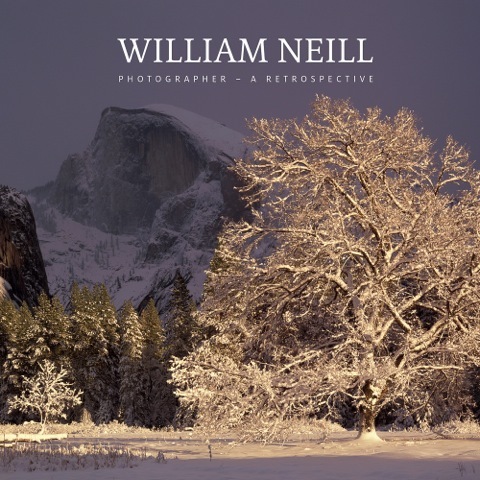 With each collectible Special Edition released, you can build a fine art portfolio of my photographs at a very reasonable cost: $40 plus shipping and CA tax if applicable. 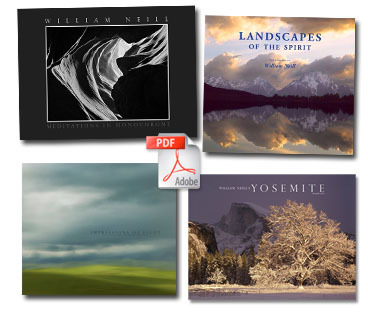 AS A SPECIAL HOLIDAY OFFER, ALL FOUR PREVIOUSLY-RELEASED FEATURED PRINTS ARE AVAILABLE NOW! FOR MULTIPLE ORDERS, EMAIL ME FOR SHIPPING DISCOUNT. 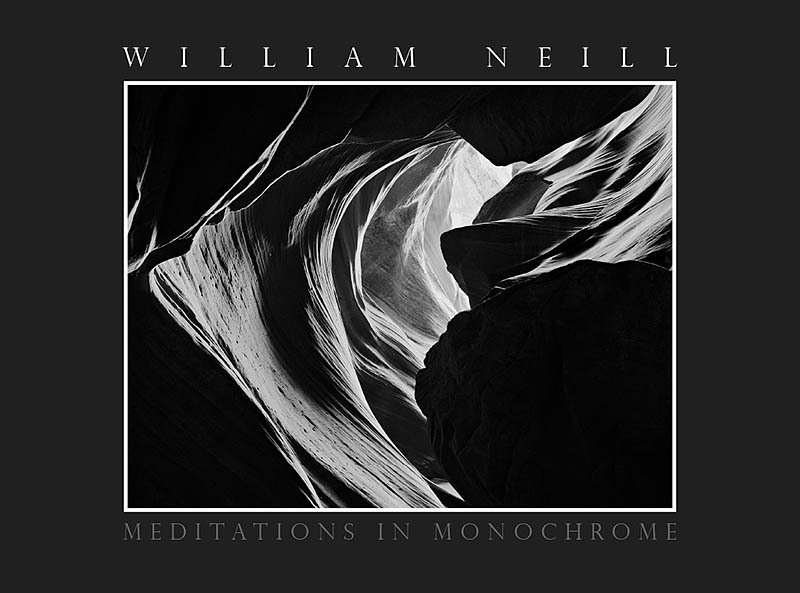 We have just launched a hardbound, Deluxe Edition of my Meditations in Monochrome portfolio. The book comes packaged with a Special Edition print, or two if you wish. This will make a great holiday gift, so we are taking orders now! If you wish to receive the Deluxe Edition by Christmas, please order before December 10, preferably sooner. See two of the page spreads included here! Enjoy.